Best value, main brand shower enclosures & bathscreens. 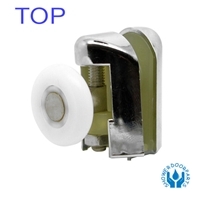 Replacement shower door rollers, wheels and shower door seals. It's simple, we specialise in shower doors & bathscreens. Including frameless made to measure doors and wetroom solutions. We carry a large range of replacement shower door wheels, rollers & seals to suit many different makes & models of doors. We are an Irish company covering all 32 counties. Storage facility only-no walk in premises.